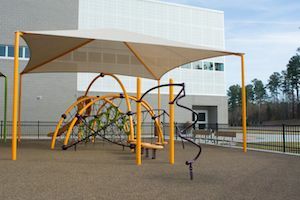 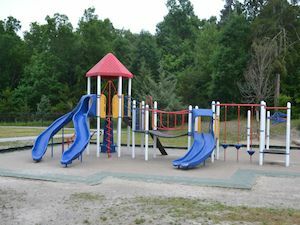 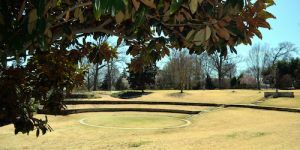 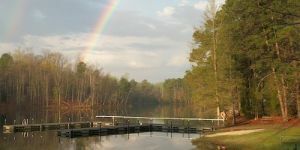 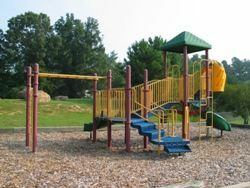 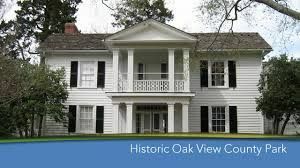 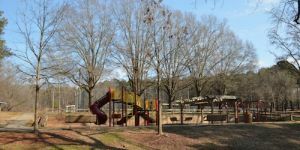 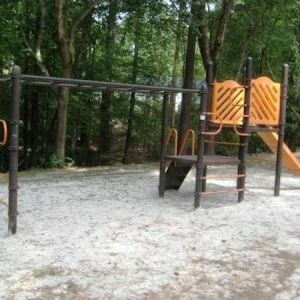 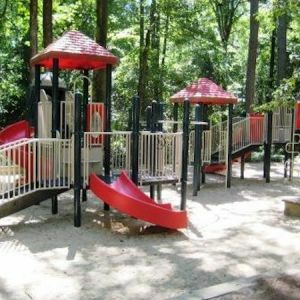 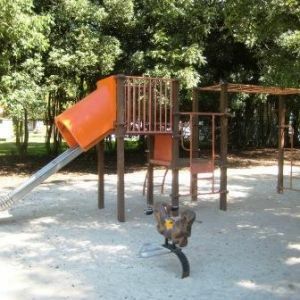 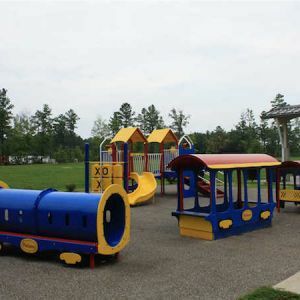 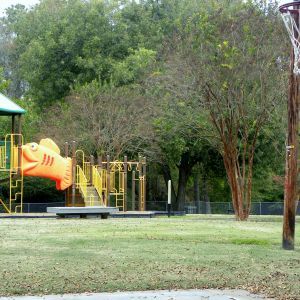 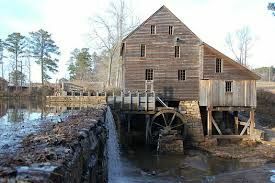 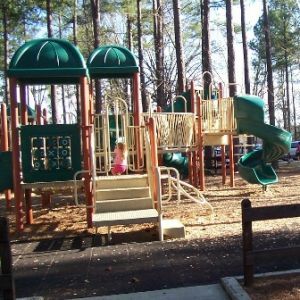 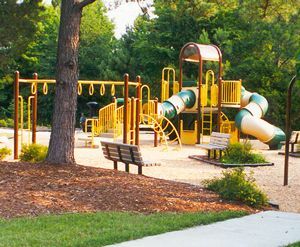 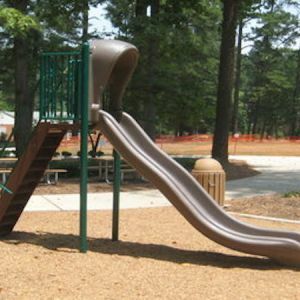 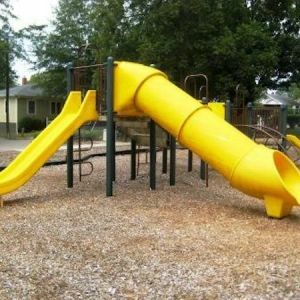 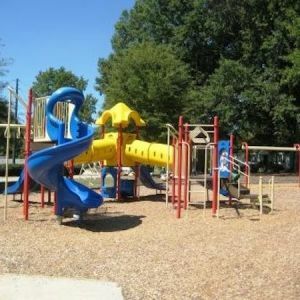 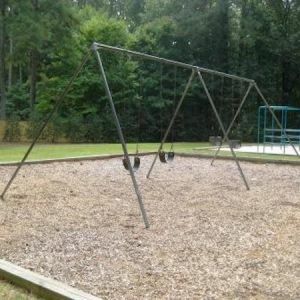 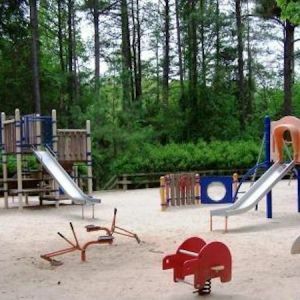 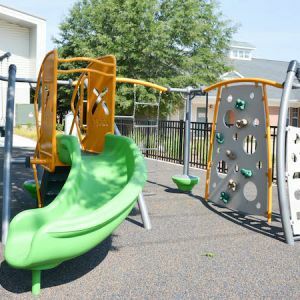 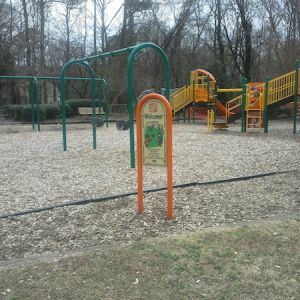 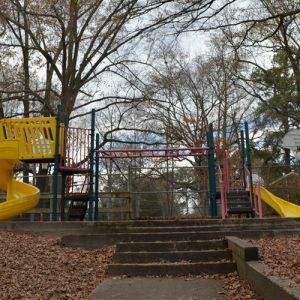 This page lists kids outdoor playgrounds and recreational parks in the Raleigh, North Carolina area. 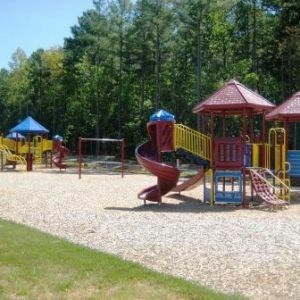 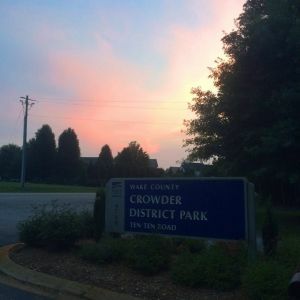 City of Wake Forest park with baseball field, basketball courts, playground, picnic tables, and charcoal grills. 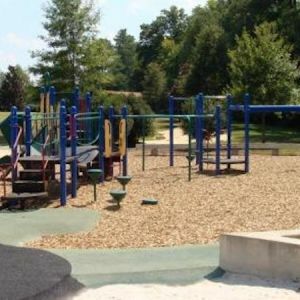 Two woodchip covered playgrounds, basketball court, and rentable picnic shelters. 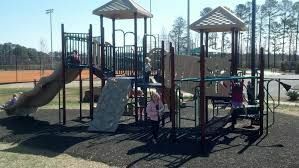 City park which includes two shelters, baseball, softball and multipurpose athletic fields, plus two playgrounds with woodchip surfaces. 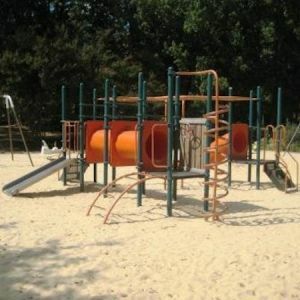 Swing and climbing structures for children ages 5-12, both woodchip and sand surfaces. 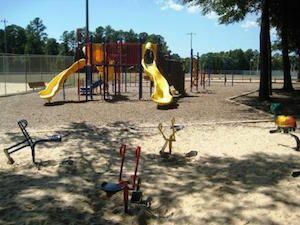 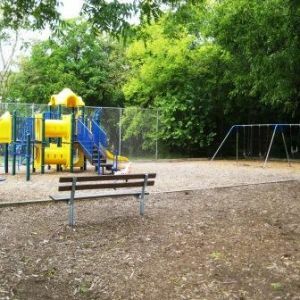 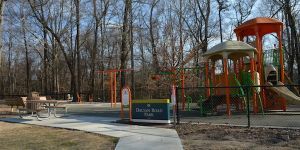 Two playgrounds with woodchip surfaces, as well as basketball and tennis courts, baseball and softball fields, and three picnic shelters. 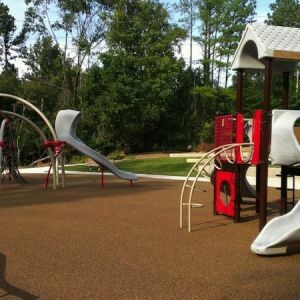 Park with a woodchip playground surface plus basketball courts. 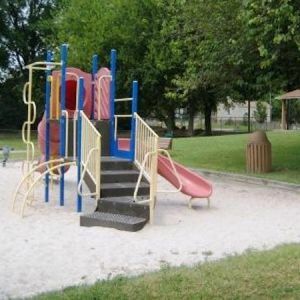 Two playgrounds, both with sand surfaces. 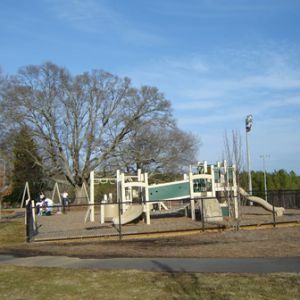 Raleigh park with rubber surface playground, two multi-purpose athletic fields, and a rentable picnic shelter. 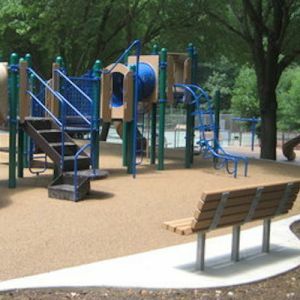 Playground with sand surface, as well as an outdoor basketball court. 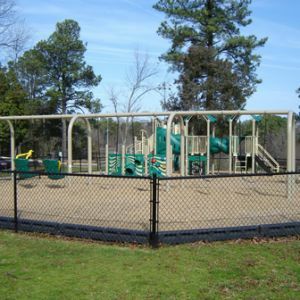 Raleigh park with sand surface playground and outdoor basketball court. 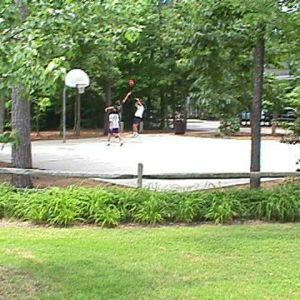 Sand surface playground and outdoor basketball court. 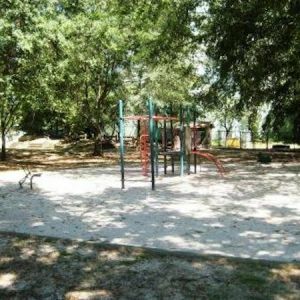 Sand surface playground, rentable picnic shelter, and outdoor basketball court. 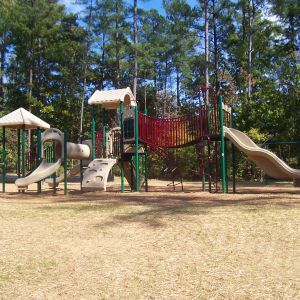 City of Raleigh Park with two woodchip surface playgrounds, a multipurpose field, and a volleyball court. 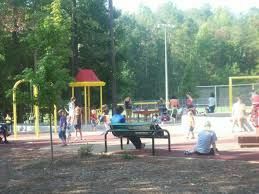 City of Raleigh park with one woodchip surface playground as well as an outdoor basketball court. 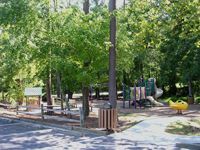 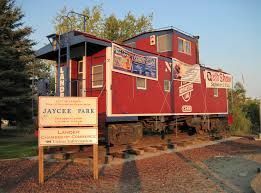 Town of Cary park featuring 2 baseball/softball fields, 1 basketball slab, playground, picnic shelter, picnic tables, and restrooms. 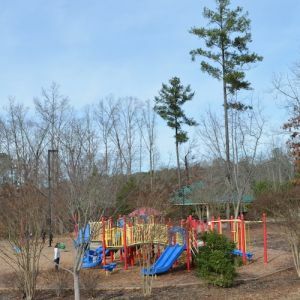 City of Raleigh park with woodchip playground and an outdoor basketball court.